F– USE by Bina Sarkar Ellias is an incredible collection of poetry that focuses on a variety of subjects with a specific focus on the condition of the human race. One moves into the poems at this point and is quickly drawn headfirst into them, which is the best way to appreciate their power. The gravity of the work is not crushing, nor are Ellias’ poems so complex that one must read them six times over; however, the work is mind expanding. One listens to the work beyond a silent reading of the poems because Ellias’ writing invokes the senses allowing readers to experience significant moments. Her word choice like “throbbed/ to the pulse // of remedies / and potions // that cure / the body // but not / the soul” allow the reader to hear the throbs and hear the clinks of moments she describes. Sometimes the brevity of these poems makes one wonder how Ellias could possibly write such descriptive and thought-provoking work with so few words. Her use of description is immaculate from poem to poem, and her topics of interest circle the globe while moving across the pages. All in all, the poems in F– USE are written with a precision and passion that readers are easily able to access. Bina Sarkar Ellias inspires a mindset that embraces the world to change by looking at reality in a new light. Her imagery is simple yet holds a complex nature that flows softly through her poems. Her work follows no rigid pattern, but that is the most beautiful part about this collection of poems. The read is worth every moment. Simply put, F– USE is a skillfully crafted and delightful book that rewards its readers with poignant intelligence through language that is imaginative and profoundly engaging. Blaire R. Ferry is pursuing her English degree on the writing track at Towson University. Writing since age five, she finds no greater joy in life than creating worlds through words. Originally from Maryland, she currently lives in New Mexico. It’s not easy to go through life driven by an intense desire to be part of a scene that really doesn’t think it needs you. 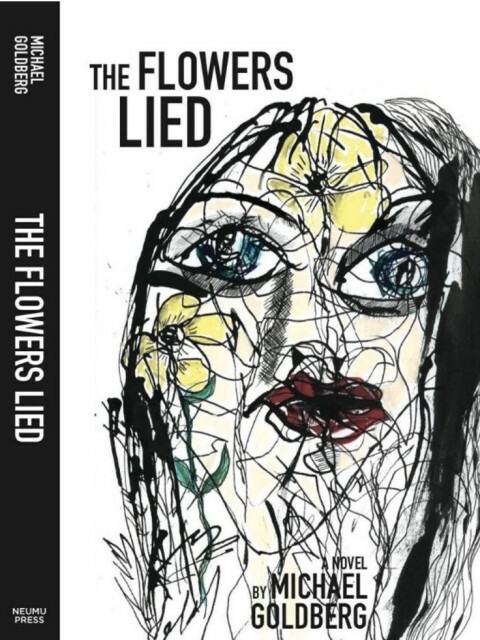 Such is the quandary of Michael Stein in The Flowers Lied, Part Two of the Freak Scene Trilogy by Michael Goldberg that began with True Love Scars. After suffering ritualistic tribulations of young love in Scars, Stein (aka, Writerman), returns to the college scene older, wiser, increasingly hell-bent on becoming the rock ‘n’ roll writer of his dreams. Stein’s further maturation comes at a cost. Still throttled by hormonal urges, he continues to suffer in lustful but patient pursuit of a lesbian love interest that never really gets off the ground. The relationship flourishes as long as it remains platonic, but wilts when push comes to shove. Meanwhile, his best friend Jim falls for a woman who eventually takes Stein in a one-night-stand as much to see if she can, as to drive a wedge between him and Jim that sets them apart forever. Goldberg continues to draw on his knowledge of music and musicians, dropping in names, places and lines that help define moments in time and illustrate the ‘70s experience. Revel in the ingenuity of a more than chance meeting with Neil Young that is a mark of Stein’s aggressive pursuit of his career goal. Grow with him as he discards the false gods of rock criticism who dismiss him as a wannabe, yet fail to acknowledge (at their own expense) his insistence on the imminent importance of The New York Dolls. Stein knows he’s been a schmuck, but in this progression, it should certainly make him a better person in the end. Thus it is that discordant youth with its forked tongue and divided loyalties between family, self and others manages to take another step out from under the umbrella of naivete, into the real world and the bright sunlight of self-knowledge. So looking forward to Part Three. M. Sedlof teaches palmistry from a small studio on East 8th Street in New York City. You won’t find him on facebook. In “Returning the Gift,” a raven the speaker has fed for weeks, cutting salmon to dry on racks in the sun, returns months later to rescue the man who is lost moose hunting under a fingernail moon listening to tight-stringer wind from inside (his) flutter tent until morning when the world is wintered and the raven “quietly, through the stark white of the North “leads him from the forest home.” So often the loneliness is cut by some beauty, some animal, some spirit from “far ochre mountains,” singing and singing to his pain and sadness. Horror and pain are never far from the Indian landscape. In “Reservation Roulette,” “Ceremony,” “Tax Evasion,” and “Deer on the Snowy Field” where men toss infants in the air for shooting practice as the future crumbles, we see a land where terror lurks. Lyn Lifshin has published over 130 books and chapbooks including 3 from Black Sparrow Press: Cold Comfort, Before It’s Light and Another Woman Who Looks Like Me. Before Secretariat: The Red Freak, The Miracle, Lifshin published her prize winning book about the short-lived beautiful race horse Ruffian, The Licorice Daughter: My Year With Ruffian and Barbaro: Beyond Brokenness. An update to her Gale Research Autobiography is out: Lips, Blues, Blue Lace: On The Outside. Also just out is a dvd of the documentary film about her: Lyn Lifshin: Not Made Of Glass. Just out: Femme Eterna and Moving Through Stained Glass: the Maple Poems. 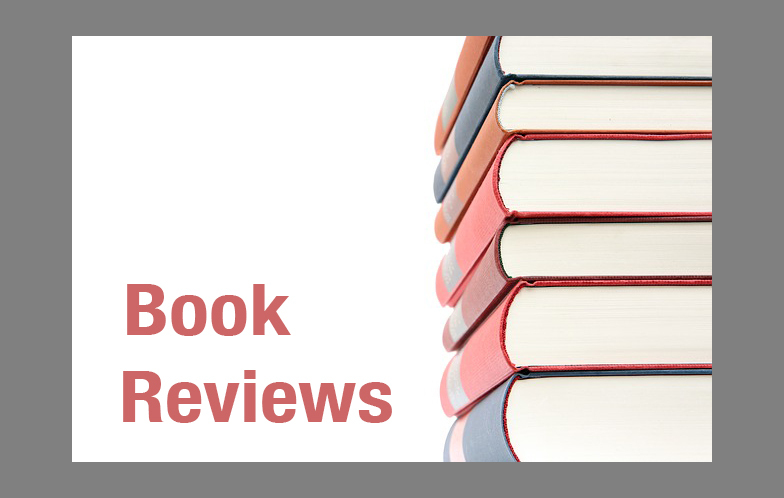 Forthcoming: Degas Little Dancer and Winter Poems from Kind of a Hurricane press, Paintings and Poems, from Tangerine press and The Silk Road from Night Ballet, alivelikealoadedgun from Transcendent Zero Press. Her poetry has appeared in several issues of Ragazine.CC. High in the Cordillera Occidental, where the only lights are the stars, and the stars do not interfere and fight with one another, where one star does not block out the beauty of another, where one’s spirit really does expand like the unfolding of angels’ wings, and the imagination takes flight…. Such is the resonance of the soaring poetry in this splendid anthology that fuses five poets’ voices to speak as one in a Greek chorus of friendship with one another, gaining understanding of those they encounter on this journey to another world, and the redefinition of the value of their transitional positions in this world, as in the universe itself. The poets’ visit to Ecuador came at the invitation of Gabriel Cisneros Abedrabbo, (himself a poet, and Vice President of the Ecuadorian House of Culture), as part of a poetry exchange “to celebrate two great literary cultures…” Indeed, the poems written in English all appear in translation into Spanish, and poems written in Spanish appear in translation into English. Not all the poems come directly from their experiences on this journey, but all reflect the kindred spirit of a diverse community. United Fruit snatched it away, again. Ecuadorian poet and artist Alex Lima was instrumental in making this visit by his fellow poets an opportunity to know and appreciate the sights, sounds, tastes and smells of his native country. 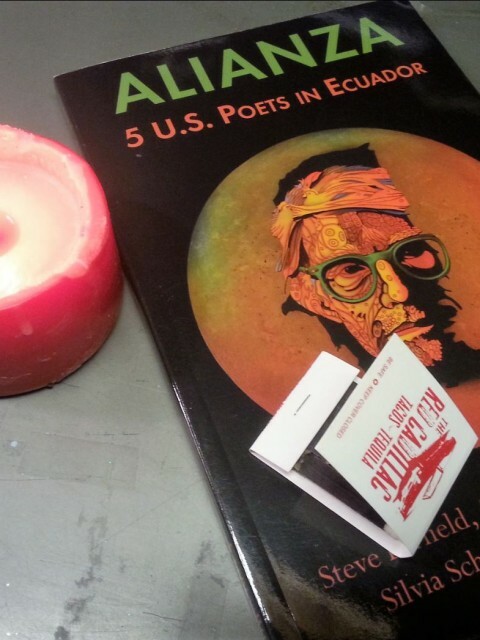 Active in the arts communities of Metro New York, and like all five of the poets in this volume an active member of the art collective We Are You Project International, recently completed his doctoral dissertation on 18th –Century Ecuadorean poetry. To put his virtues on display … like he is about to spin. One of my favorite poets writing of the Latina experience from an insider’s perspective is Lilvia Soto. Soto is founder and was the first director of La Casa Latina: the University of Pennsylvania Center for Hispanic Excellence, participates widely in international poetry festivals and literary conferences. Her poem, “bone music,” speaks to the tragedies and lasting effects of political and societal violence. whisper she years for his bones at dawn, even now. The poems in this collection will open your eyes to changes you may not even know are taking place in the here and now, terrible situations that unfortunately persist, and delightful discoveries that will light your day like a candle flame that lights a room at night high in the Cordillera where a family sings of both hardship and the simple joys of being. note: Other work by the poets in this collection have appeared previously in editions of Ragazine.CC. You can search for them by name in either or both: http://old.ragazine.cc and https://www.ragazine.cc. Michael Foldes is founder and managing editor of Ragazine.CC, as well as an active member of the We Are You Project International. You can read more about him in About Us. Allen Ginsberg is known as one of the United States’ most significant poets, in particular thanks to his 1956 epic, “Howl,” which was the subject of a subsequent obscenity trial. Later, Ginsberg was known throughout America and the rest of the world for his role as a countercultural leader. As the Beat Generation segued into the Hippie movement of the 1960s he was a prominent figure, acting as a spokesperson for the country’s youth, and speaking for disenfranchised people everywhere. Despite his important role on the frontline of protests in America, and the prominence of politics in his poetry, there has surprisingly not been a great deal of study into this area. Eliot Katz’ forthcoming book, The Poetry and Politics of Allen Ginsberg, seeks to rectify that omission. In this new volume he examines Allen Ginsberg’s poetry for its political content, and shows the poet’s tactics in bringing attention to important causes. Katz begins the book by outlining the methods used by Allen Ginsberg to explore political ideas in his poetry. These include mythification, demystification, personalization, surreal imagery, and others. He goes on to examine Ginsberg’s work in chapters that focus upon major poems – “Howl,” “Kaddish,” “Wichita Vortex Sutra,” etc, and in each chapter then goes on to elucidate upon the period during which the poems were written, highlighting other poems which are often less well-known to readers. Amidst the analysis of Ginsberg’s poetry and details about his life are insights into Katz’ own political leanings, which are very much to the left. 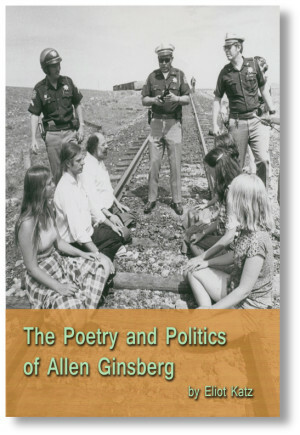 The author often connects the past and present by referring to Ginsberg’s beliefs and then remarking upon the political climate of the twenty-first century, tying in NSA spying and the Occupy protests, for example. His personal relationship with the subject of the book (Katz was a friend and student of Ginsberg’s) allows him intimate knowledge in this regard, and allows us to imagine what Ginsberg might think of politics today, almost two decades after his death. Altogether, Eliot Katz has put together a valuable and extensive investigation into the role of politics in the life and work of an important poet, adding an important dimension to Beat Generation scholarship. 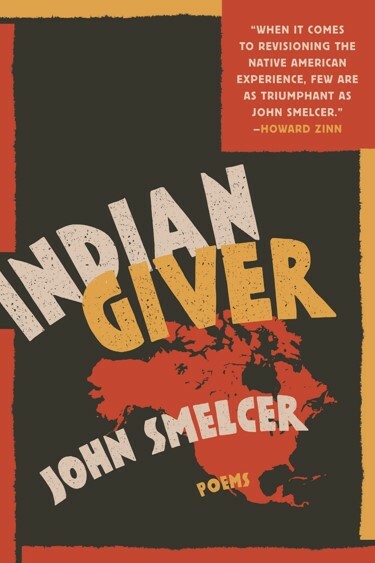 His book is both detailed and yet accessible, and will doubtless be useful to students and fans of the Beat Generation. Zhang Ranran is a graduate of Shanghai Jiaotong University and a native of Anhui Province, in Eastern China. She has written for various publications in her native country, and is working on her first novel. Great book… meets the standards of “Been Down So Long” and others of the best “coming of age/lifestyle” novels.